Gift giving is a part of human interaction and a wonderful way of strengthening the bonds in a relationship. It is a gesture of love and care that bring self-gratification. A gift no matter small or big is a statement of your concerns. In a relationship acts of kindness is important and gifts endure it in the best way. It is something physical that can rekindle memories years on. Gifts can be presented at anytime of the year, regardless of the occasion. Generally, people look for a thoughtful gift with which they can express their emotions and in search of the right gifts they wander here and there. It’s common that people visit a gifts store with a certain budget in mind but get confused when bombarded with multitude of gift options. These gift shops with no filter of price range either scared them off or completely shudder their price expectations. Well, this is a general issue with offline gift shops but the online gifting has simplified the task for everyone. 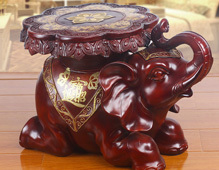 Online gifts store offers vast range of options to choose from. With them one can filter the products depending on the event, recipients and type, which allows customers to get the suitable gift, under the comfort of their home. No hassles, no wondering, online gifting makes it easy. The best part of online shopping is that one can filter the products under a fixed price range. For instance, you have a fixed budget of shopping under Rs 300, the online store only shows you those products that lies under that price range. Boontoon, also works on the same phenomena. With us one can search any type of gift in just few clicks. We have divided our gift range into multiple categories depending on the occasion, type and recipient. With Boontoon, you can make the most of your budget by discovering myriad must-have in every price range. How Is It Helpful For Customers? We often look for the shortest and simplest way to get the right thing, then why not for gifting? Selecting a valuable gift under the fixed budget can be a tedious task, for all of us. But, now it has simplified. To help a customer in selecting the right return gifts, corporate gift or diwali gifts, Boontoon has categorised all its products under definite category, with price filters like gifts under 300 or 500 and so on. With our price filter and easy search navigation a user can get a suitable gift under one go. It also helps customers in getting what they want at very first place. It helps customers to show their appreciation for someone without breaking the bank. At Boontoon, a customer can buy a gift for any price range including gifts under Rs 500, gifts under Rs 300, and gifts under Rs 1000 and luxury gifts. Since we understand how difficult it is to find a gift under a certain price limit, we have also filtered our gift categories according to different occasions. 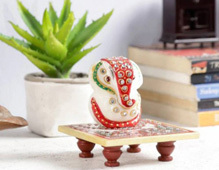 Our collection of gift items are mainly inspired by indian handicrafts and we have so many of them in our store. 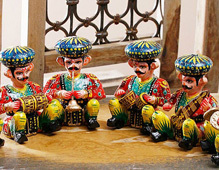 For gifts under Rs 300, these handicraft items can show you a great variety. Boontoon make it really simple by refining their products. 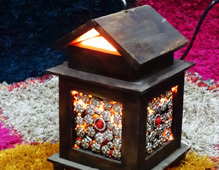 Our Indian handicraft online products are very much in demand and people from the overseas visit us to shop for our luxury items. We also accept bulk orders and provide a smooth platform to supply your orders all around the world.